After EA announced that women’s national teams would appear in Fifa 16, the sport hit another historic note after the USA won the world cup and broke TV ratings for the sport in the US. Now, there’s even more welcome news. EA has revealed the players will adorn the box-art for FIFA 16, the latest instalment in its mega-selling soccer sim. The main star on the cover Barcelona striker and world-famous celebrity Lionel Messi. The global cover will only feature Messi, but certain regional covers will also include soccer players from that region. The stand out here is the Australian version. The cover will feature Lionel Messi, Stephanie Catley and a third, as yet unnamed player – that would be the silhouette in the picture below. This marks be the first time FIFA’s cover boasts the image of a female player. Australian Stephanie Catley, who plays for her country’s national side and a team in the USA, appeared on the box as a result of winning an online poll, in which more than nine million votes were cast. “I’ve always been a huge FIFA fan and knowing that I will be playable in the game, as well as being on the cover alongside Lionel Messi, is a career highlight for me,” Catley said. There’s No progress without fear and loathing, we’re afraid, as the initial announcement of woman being in the game spurred a torrent of hate and sexism on social media (the link included features commentary that some may find offensive), and there is very little doubt that this new development will spur even more. It seems the mixture of soccer and videogames is a volatile mix right now after FIFA’s corruption scandal and the misguided backlash at the FIFA 16 game. With that in mind, we’d like to remind you of FIFA Street, a spin off of the usual, yearly games of the franchise that many of us in the office adore. The mix of indoor soccer on smaller fields as well as silly tricks and great animations made a game that even ardent football haters loved to play. In the meantime, are you planning to buy a copy of FIFA 16? Or does the image of Sepp Blatter wallowing in a trough filled with money put you off? Share the post "Breaking! 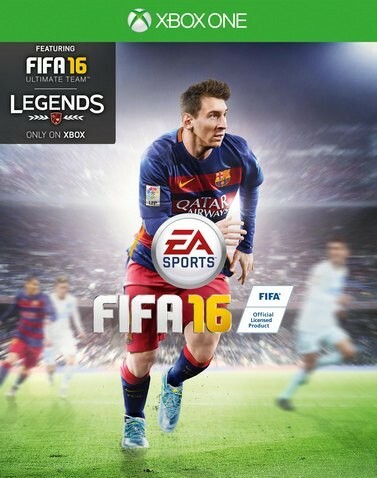 Fifa 16’s cover to feature a Female Soccer Player for the first time [See Photo]"